A CHP unit works much like a typical generator in that it uses natural gas as fuel and produces power. However, the CHP system differs from other methods of generation in that it implements a waste heat recovery system to recover the excess energy released in the process and utilizes it for heating conditioned spaces during colder periods. In simple terms, combined heating and power units use cheap and effective natural gas to drive a generator to produce electricity for your own use while the wasted energy is used to heat your facility. 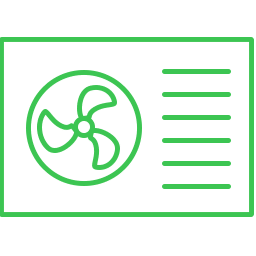 CHP units work in conjunction with your building’s boiler system, so having one central heating system is the most ideal situation for using with CHP systems. Typically, taller buildings such as apartment complexes, hotels, or downtown facilities have setups like this and have the right building profiles to reap the benefits of installing a combined heating and power unit. 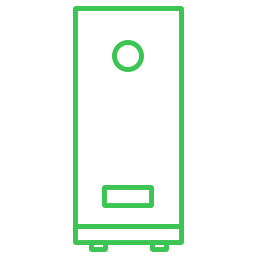 The most valuable benefit of installing a CHP unit is that they reduce the stress on your boiler system, significantly reducing electrical demand charges on your utility bills. The heat generated by CHP systems is considered renewable. They can be installed on a roof, on the ground, or inside. They can be mounted and installed just about anywhere. CHP systems are not overly large systems; they can basically be sized to suit the facility’s needs. They qualify for a 10% federal tax credit. They have a typical lifespan of at least 20 years. Your business relies heavily on properly heating your facility. For this, it is crucial that your central heating system be running as efficiently as possible. EnergyLink is experienced in working with tall facilities to properly integrate combined heating and power systems effectively with a quick return on investment (usually around 5 years). Interested in installing a CHP system?